At its iPhone 3.0 software preview event in Cupertino, Calif. today, Apple gave out some pretty interesting statistics for the App Store. 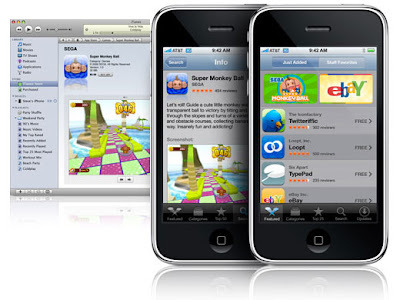 There are now over 25,000 apps in the App Store, and those apps have been downloaded over 800 million times. It took Apple just eight months to reach this figure. And given previous statistics, that means the store is still growing as strong as ever. No wonder all its major competitors in the mobile space have now launched or announced plans to launch their own app stores. But it will be hard to overtake Apple as some 50,000 companies have joined the paid iPhone developer program. And while over 17 million iPhones have been sold, even more impressive is that 30 million iPhone and iPod touches have been sold when you add the two together. That’s a huge base which is still expanding very fast. The software development kit (SDK) has been downloaded over 800,000 times. Of developers on the platform, 62 percent had never developed for Apple before. The App Store is now available in 77 countries. 96 percent of apps submitted are currently being approved, and of those, 98 percent are approved in seven days or less. iPhone going China Unicom way? Apple "Netbook" in the making?